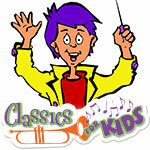 This month, Classics for Kids features Frédéric Chopin. This week's show is Military Music. You can also find the Classics for Kids podcast on Apple Podcasts, Google Play or Stitcher.